Doing nothing about aging is not an option! We must fight it or we risk looking unattractive. We need help in this fight. Creams and serums are one way to win this battle. Another way, which is more effective and faster, is using the best anti aging devices. 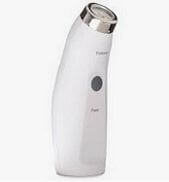 In this article you will discover top rated skin care tools for home use. Each product will take years off your face! 1. Silk'n Titan - Transforms skin back into a smooth, firm and glowing state. 2. 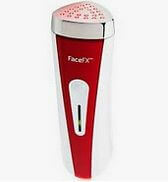 NuFACE Trinity - Lifts and tones facial muscles in as little as 5 minutes a day. 3. SpectraLite EyeCare - Proven to smooth and firm the eye area in just 3 minutes a day. 4. 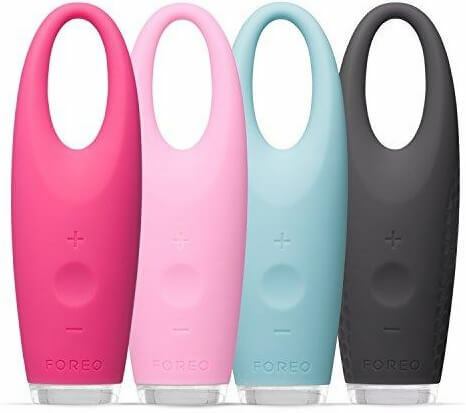 FOREO IRIS Eye Massager - Reduces crow's feet, dark circles, and bags under your eyes. 5. Silk'n FaceFX - A safe and pain free alternative to Botox or surgery. Your own mini-spa treatment. 6. 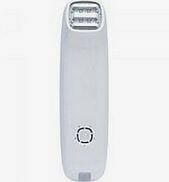 SkinClinical Reverse AntiAging Light Therapy - Improves skin texture, elasticity and firmness. 7. DPL IIa - Tackles acne and wrinkles while building collagen. More elastic skin with less sagging. 8. Silk'n Revit - Gives you a youthful glow and picture perfect skin. Improves the look of scars. 9. 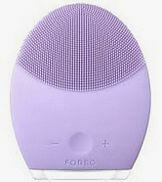 Foreo Luna - Gives your skin a deeper clean than ever before. Improves absorption of skin care products. 10. 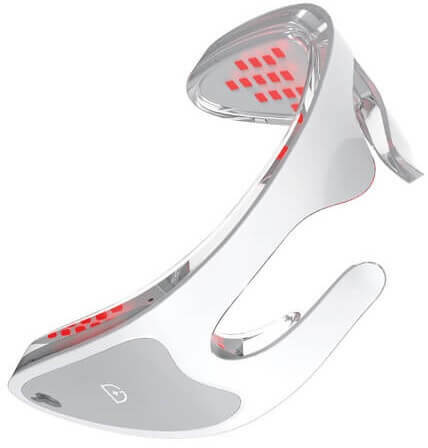 Headband For Hair Loss - Fastest laser treatment ever to treat hair loss and stimulate hair growth. 11. 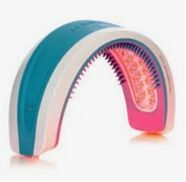 Laser Hair Growth Comb - Significant improvement in hair growth in 88% of people in as little as 3 months. Find the fountain of youth with these skin care products for anti-aging! Just keep in mind that not all of these anti aging devices work for everyone. What may work for other people may not necessarily work for you because we all have different skin. The secret is to find just one tool that will work for you. An unbelievable three in one technology. If you go to a doctor’s office, you have to get three different treatments to get what this one treatment will do. The number one at-home device worldwide with three in one. The European ladies have had privilege to use this tool for a lot of years. The Titan is an award-winning device. This is the best technology that you can get for all of those at home skin treatments but literally using three different energies all in unison. There is no other at-home device on the market that will give you the benefits of RF, radiofrequency energy, red light or fractionated LED energy and deep thermal heating. It is unlike anything you’ve ever used. What’s really great about this is that these are long-term benefits. I am NOT talking about something that is a quick-fix that’s gonna go away. I’m talking about something that you’re going to use and you get to keep those benefits long-term. So simple and easy to do when you get it home. It does come with an instruction manual that takes you step-by-step how to use your Titan. Ten to fifteen minutes in your treatment area and after you get to that ten-week mark that is where you’re going to see the optimum results. 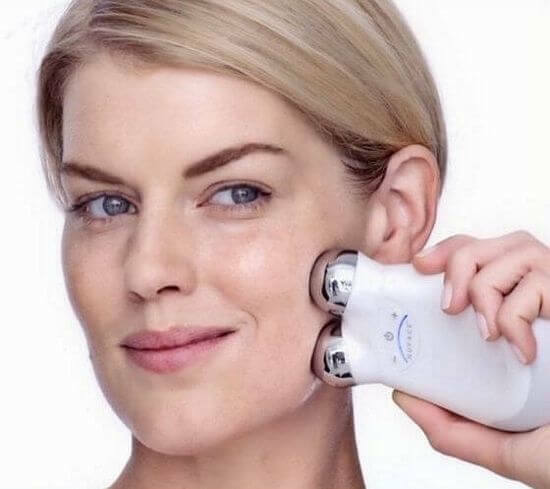 So if you have sagging skin, if you have creepy skin, if you have lost volume and that skin is just hanging out, you don’t know what to do with that, if you have uneven skin tone, if you have skin sun damage, if you have enlarged pores, this device is going to cover all of that. This is an FDA cleared device, even safe for you to use in that periorbital area. I want to say that one more time. That’s huge! This is safe and effective for you to use in that periorbital area around the eye. Remember, it has three different energies. Red LED light energy is definitely skin restoration. Surface skin all the way down underneath the skin. This is not a topical, this is not a cream. I am talking about skin transformation from the inside out. Nobody’s done this before. If I go to a doctor’s office, and this is why the European women have kept this a secret for a very long, I would get three different treatments. And pay for each of them! 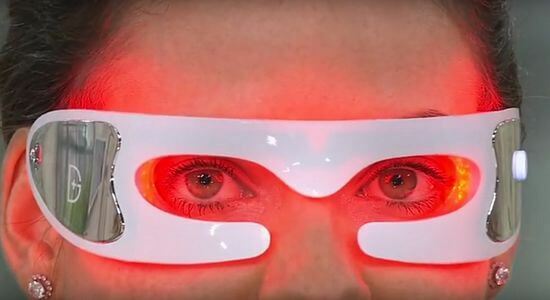 I would have to get red light therapy, which would be fractionated light therapy and then I have to go ahead and get thermal heating and radiofrequency that goes down deeper than any other frequency. What does that do for you? It goes down so deep you’re able to make your own collagen and elastin. So you’ll get faster results than ever before. Again this is an FDA cleared device. This is something that took years to get in the U.S. because the U.S. is very strict with their guidelines. European women have had the chance to be using this for years. When you think about that eye area, the volume we lose right there. If you want to get that volume back, that fullness underneath your eyes, all you have to do is put the hyaluronic gel on first and then let this gadget run. So if I went into my dermatologist’s office or my esthetician’s office they would use a slider gel to basically activate the device. This is no different. I’m talking about not only improving the skin appearance through your own natural collagen production. Here’s the key. This is natural, this is non-invasive. I’m talking about a topical at-home treatment offering the bipolar radiofrequency energy, the LED light energy and the infrared in unison. The gel is suitable for all skin types. It is completely fragrance free. What I love about this slider gel is that it actually contains the hyaluronic acid. So as you do your treatments, you’re not drying out the skin, you are not changing your skin. The treatment is beautifully warm, it feels so soothing and therapeutic around that delicate eye area, the crow’s feet, the 11 lines, giving you that lifted, tighten effect to the skin. What are we doing here, we’re using what you already have. What I’m asking you to do is go in to your very own energy sources called fibroblast. We’re gonna wake them up. You can probably go into any other esthetician’s office and pay this price for just one treatment and you need three of each. Not to mention the really great part – this is your tool and it is a corded device. It is a professional device so all of your maintenance and everything is in your device. It’s slim, it is nice, I can carry it with me. It comes with a beautiful carry case. It really is a triple treat in winning the war on aging. So if you look in the mirror and your skin is thin, you’ve got really bad hollowness underneath the eyes, nose to mouth lines and wrinkles, you will benefits from this. The sinking in is one of the biggest signs of aging because once you start losing that volume everything just kind of hanging out and you can’t get that plumpness or that firmness to the skin. That’s exactly what this is. If it was difficult none of us would want to do it. So I want to show you how easy is to do. So when you get it home, you’re simply just going to plug it in. You want a corded device. There’s no battery to wear out over time. Everybody is going to start at level one and work your way up. So a few minutes on level one, kind of like your warm up and then you’re gonna work your way up to level five. Now here’s where the gel comes into play. You get a full size of your gel and it’s very inexpensive. A little bit goes a long way. I like to apply it right to my device. So a little dab will do and then as soon as I put my Titan in contact with my skin it activates. Some people say oh my red light wasn’t coming, my red light wasn’t working. You need to apply a bit more gel. It is the conductor. The gel is its best friend. You will feel the most comfortable beautiful warmth which on freezing day feels so good. But what I don’t feel is that radiofrequency or that RF. You don’t necessarily feel it but when you’re done with your treatment, you will feel the tightness and the tonus. All three systems are going to work together. So where it gets really good is that not only am I going deep down and working from the inside out, but with that fractionated red light therapy, I’m also treating surface damage, I’m treating sun damage. We’re also working on enlarged pores, we’re working on uneven skin tone, uneven skin texture. Can you imagine if you had to make appointments and keep investing and paying for over ten weeks for these treatments? My goodness no. This is your personal at home device, it’s a professional tool where you are going to see professional results. It is such an amazing device because you feel it, you see it. There’s no cream or serum that does what this is going to do for you. If you’ve got that thin skin, it’s going to pump it up and it’s doing it with your own skin’s collagen and elastin. What I love about it is if I have something big and important to do the following day, there is gonna be taking pictures, I’m gonna be in front of a camera or just in front of a lot of people, I actually try to do it the night before because you can really see the difference the next day. I feel that it’s one of these tools that will be with me for a lifetime. It’s my new beauty partner! It’s amazing that you are able to do treatments in the the privacy and comfort of your own home, to be able to do treatments that most of us probably wouldn’t even think or be able to obtain if we had to go into the esthetician’s office, if we had to spend thousands and thousands of dollars. When we’re stressed, our skin is stressed, when our skin is stressed, we look tired and aged. You’re gonna be amazed at how quickly this is gonna work and once you get where you want to, you only have to use this once or twice a week. It’s like a never-ending jar of anti-aging cream or never-ending doctor’s visit! You’re gonna notice that glow come back, you’re gonna notice that radiance come back and it’s gonna make you feel great. This is the fitness for our face. Skin care is for our nutrition and the microcurrent is our exercise. This is an at-home microcurrent device. What microcurrent does is that it stimulates our skin cells and restores our facial muscles. Microcurrent is a low-level electrical current that mimics the body’s natural current and it helps to actively lift and tighten the facial muscles. It also stimulates cellular energy, a stuff called ATP, which is what your cells live on and your body can store. So every time you use this device, not only are you actively lifting and tightening the facial muscles, but you are also creating a store of excess cellular energy. This technology isn’t really new. It’s been around for a while and it’s been proved to be effective at sculpting and regenerating the skin. What drew me to the NuFACE Trinity was that it’s FDA approved and that was important to me and it’s approved for contour, toning and wrinkle reduction. They did a study that showed that 85% of the users experienced an improvement in their facial contour by using this for 60 days, five minutes a day. It has five different settings. A setting number one is at 70 micro amps and then as you push the plus button, you can get it all the way up to the fifth setting at 335 micro amps. This is the setting that I used for sixty days. Not only does this device do all the things that I mentioned before but it also helps with product penetration and so if I’m going to put a product on my skin, this device is then going to push it farther into my skin. Now let’s talk about the actual treatment. When you open the box you receive a treatment card telling you the three steps to take. I left this beside me for the first full week so I would not forget any of the important steps. They also give you one of their gel primers. Since it is an electrical current, you need a conductivity gel for the current to flow freely into the skin. The way it works is that you get positive and negative that hop back and forth on the electrodes. So for the device to work properly it needs to be flush against the skin with both balls touching at the same time and you can’t do it on dry skin. You need to use some sort of conductor. So NuFACE makes their own conductivity gel. It is paraben free. The big thing with conductivity for this device to work correctly is that it needs to be oil free. Oil will block the electrical current and make the device ineffective. Let’s talk about the prepping. The first thing that you want to do is wash your face with a non-oil based cleanser. This was really hard for me because I love the oil balms and the oils to cleanse my face. But I had to change my habits with this for 60 days and it was worth it. After your face has been cleansed and dry then you will apply a thick coat on one area of your cheek. You either pick your left side or right side to start with. You will put a pretty thick coat layering of the gel because if you don’t you might feel the microcurrent and if you feel it you’ll know you didn’t get it on thick enough. Then turn on your device, wait for the beep and then you will start at the corners of your mouth, move up and wait for the beep. When that beep goes then you’ll start again all the way up, hold, wait for the beep. Start now at the lower nose, right under the crow’s feet and then I wait for the next beep. And this is what you do for three times and that’s it. Then we’re gonna move on to the next phase and the next side would be on your left and you would do your three swipes and you would repeat that three times. Next we’re gonna move to the forehead after both cheeks have been done. Again I take a little primer, I put it only on one side of my forehead and what you will do is you take the tool and you start at the beginning of your eyebrow and move slowly and wait for the beep. Move across the eyebrow about a half an inch, wait for the beep and the last stroke will be at the end of the eyebrow all the way up to the hairline, wait for the beep. You will repeat that three times and then go to the other side of the forehead. Why do you not apply the gel on the whole forehead or across the whole face? Because the primer gel starts evaporating and drying and by the time you get to the other side, it’s already dried and your device is not going to glide on and then you’re going to start feeling the microcurrent. So just apply a little at a time on the side you’re working on. Step three is just after you’re totally done with your face. There are more advanced moves but I just wanted to take you to what they’re recommending the basics on the cheek area and on the forehead. When you get used to that then you can start adding other moves that you can use for contour and lifting. But I just started with the basic at the very beginning and now I am more into the advanced moves, which takes longer than five minutes. You want to make sure on step three that you remove this primer because it will dry on your face and be sticky, it’s just not a comfortable feeling and it’s probably not the best thing to leave on your face. After I remove my gel primer then I move right into my evening skin care. Some people get freaked out because they can feel it. I think normal sensation is not feeling anything to a mild sensation. Active sensation where you feel like you’re getting zapped, that’s because you’re not using enough conductivity gel. So I find that this happens around the hairline because hair will cause it to be zippy. Same with the brow hairs. So if you’re working along the hairline, you’re gonna be careful to go to it but not cross it. If you’re doing it around the brow area you’re going to put conductivity gel all over the brow area as well as the skin. If you are working on one section of the face and you don’t have gel next to that section and you touch your skin where there isn’t gel, you might get zipped or get prickly sensation, whatever you want to call it. If it’s too much for you, you can turn the device down. So I use mine all the way up always but there are settings you can put it lower and that might help with some of that sensation until you build up a tolerance and then slowly add more intensity as you continue to use the device. The recommended use is once a day for 60 days, for five minutes a day. After 60 days then you go what they call the maintenance plan and that is when you can go down to only two or three times a week. A big thing that you need to make sure is that if you do a movement on one side of your face, you want to make sure you do the exact same movement on the other. The way that I use to prevent skipping steps is that I do the same sequence start to finish every time and that way you just don’t forget to do all the steps. I would just suggest that you figure out your routine and doing that routine every time. Do it on one side, do it on the other. After 60 days here are my results. The cheek area is lifted; I can feel there is this defined contour. I also feel the jawline has been improved. My forehead is a lot tighter, which has lifted my sagging eyes just enough that I can tell a difference. My crow’s feet have definitely been improved. I am constantly seeing slight improvements just enough that when I wake up in the morning my face just feels firmer and more toned. Is it gonna be like if you went under the knife? 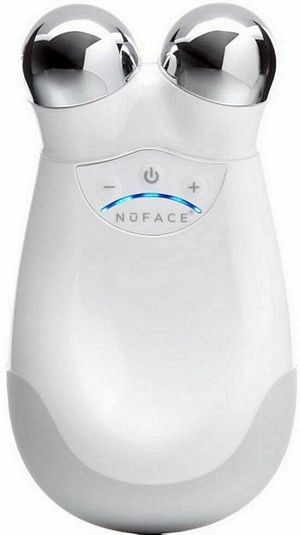 Absolutely not, but for what I spent and that this is device is gonna be with me forever and I don’t have to keep going to the dermatologists office and to get these microcurrent visits, NuFACE is a fantastic option. It is working for me! I’m glad I tried it. Am I gonna stay with it? You bet I am. I genuinely just love this device. I love this device so much I feel like everyone should have one. You can also purchase additional attachment to it. I purchased NuFACE Trinity ELE attachment. It precisely targets hard-to-reach eyebrow furrows, crow’s feet and smile lines to improve eye and lip areas. One of the most innovative, groundbreaking anti aging devices that you will see on the market. It is what Elle magazine calls a beauty breakthrough, it’s been in InStyle, Woman’s Day, Allure, etc. Beauty editors are loving this because in three minutes a day with these glasses you will treat all the wrinkles around your eyes. This is a game-changer. This is an FDA cleared anti wrinkle device specifically for the eye area and it’s so easy to use, it takes three minutes a day and it’s hands-free. It’s an incredible new technology that uses LED lights. 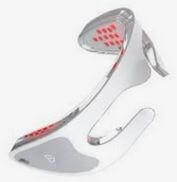 This is a light that is red in color and that actually penetrates your skin to build your skin’s own collagen. Collagen is the holy grail to having younger looking eyes because collagen are the fibers in the skin that’s going to build your skin and help your skin look younger. In the before photo you can actually see those ingrain lines. That’s where you have lost collagen. Now in the after, ten weeks later, just three minutes a day, look at the dramatic improvement. Look at underneath her eye and especially how those deep crow’s feet are gone, like they are literally gone after 10 weeks. Topical products will help with texture and smoothing but this LED technology is what’s actually getting rid of that. This kind of before-and-after is something that you can’t get from a topical product. Not at all. The next photo, same kind of treatment. Look at the before photo. You see the skin has lost its firmness, the skin has older look, those lines, those wrinkles, that’s because collagen has been lost. And now 10 weeks later you can see the difference. He literally looks 15 years younger. A lot of men don’t like to put on eye creams or use topical products because they don’t like the feeling of it. But this is something that they can use. 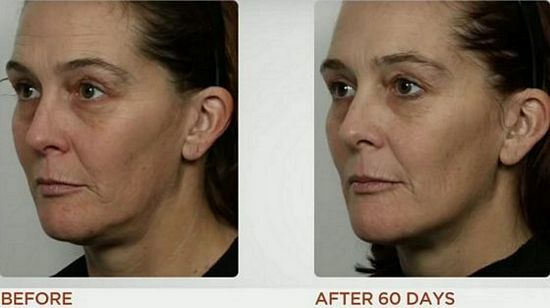 This is an anti aging device that comes straight from Dr. Gross’ office, patients have loved this, and now you can get this kind of results at home. All you have to do is put the gadget on for three minutes and it will even turn itself off exactly in three minutes. Always use it on clean, dry skin. There’s no heat, there’s no redness, there’s no recovery, no pain. This is a game-changer because LED is a red colored light and its beam of light penetrates the skin. When you see a wrinkle, what you’re actually seeing is a loss of collagen under the skin, so what happens is the skin thins out, the skin caves in. That’s your wrinkle. But LED from Spectralite is going to help rebuild your collagen, so it reverses all aging signs and you get this incredible visible improvement in the lines, in the wrinkles and in the crow’s feet. Take a look at those before-and-afters again. If you look at the before photo, this is the sort of thing people see as they get older. 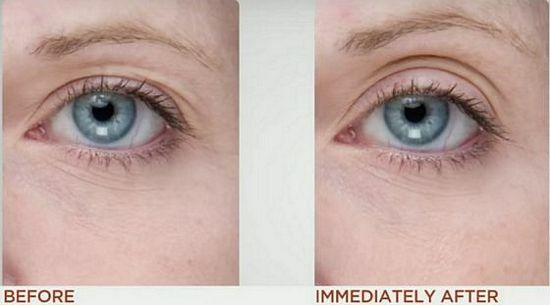 The eyes look older and if you want to look younger, your eyes have to be radiant. In ten weeks, just putting this little goggle on your skin for three minutes (it shut this up automatically and it’s rechargeable) ten weeks later, look at that smoothness, look at that beautiful younger look. Those lines, those wrinkles, those crow’s feet look so much better. Man use this too. You can share the device. Let your husband use it. In six minutes you can both be done. 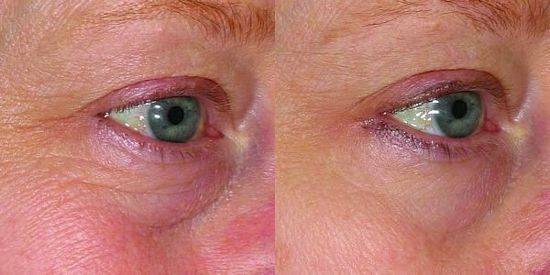 Spectralite is an FDA cleared anti wrinkle device for the eye area. That’s the most important area if you want to look younger. Just put it on and push the button. 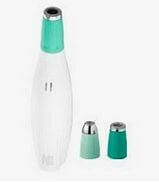 It treats your skin with a special red color beam of light called LED and each treatment is just three minutes. 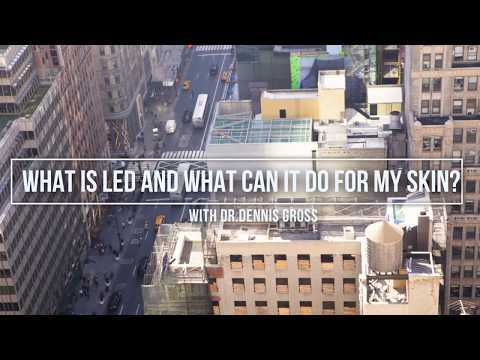 Let’s just talk a little bit about what LED light is. It’s discovered by NASA. If you think of your skin as a flat road and you’re driving along that road and you hit a giant pothole. That pothole is your 11s or that is your crow’s feet. That is a breakdown in your collagen. 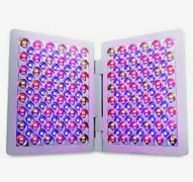 These LED lights stimulate that natural collagen production to get rid of the pothole. So you’re actually battling and getting rid of those wrinkles as well as helping with tone and texture. This the big difference, that’s how it gives you the extraordinary visible improvements in your lines and your wrinkles and it’s hands-free. So if you want to do other things you can do that while you treat the area around your eyes. You don’t have to lay with a mask on your face, you don’t have to sit and hold things up to your skin. You can use any skin care but this is going to do what skincare can’t do. This is a brand new concept in what you can do at home. Three minutes a day and then use whatever moisturizers or eye products you ordinarily do. If you do it in the morning you can totally put your makeup on. You start to see results in as little as 10 days and then week to week for the next ten weeks, you start to see firmer, smoother skin. The device even has little bulbs in the middle. So if you have 11s, those lines that come in between your eyes, in between the brows, it’s going to work there as well, it’s going to give you an extraordinary visible improvement. So many people don’t realize that topicals are great but they can only go so far. They are great and everybody needs them for texture. But you simply need something further. 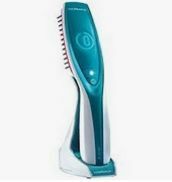 You need this anti-wrinkle medical device this is battling all those lines around the entire eye area as well as the elevens. So what you really need to do at home is find where this best fits in your routine. I do it in the morning. I literally keep this on my coffee pot. Every morning I take it off of the coffee pot, I turn it on, I do my thing, I make my coffee and when it’s done I put it back on the coffee pot. When you get it home, you’re going to get the device, you’ll get a really cute little carrying case if you need to travel. It also comes with a strap. I don’t need to use the strap because it is really flexible but if you actually want to do something while you’re wearing it, say you want to do crunches or something like that, you can take the strap, tighten it up on the back of your head and press the ON button and then you could literally do jumping jacks and this thing would not come off. Also the tighter you pull the strap the less red light you’ll actually see but it will keep working. When you first get it home you want to charge it for a full four to six hours. It comes with a regular USB. So you will just plug it right into the device and then you can plug it into your laptop, you can plug it into a regular iPhone charger. While this is charging, around the ON and OFF button, you’re gonna see a blue light and while it’s charging the blue light is gonna be blinking. When it’s fully charged, it’ll be a solid blue light and it will no longer be blinking. That’s how you’ll know you’ll have a full charge. And when you have a full charge that’s gonna last you about 10 uses. So it’s a thirty minute charge. That is gonna be lasting you for ten days. When you start seeing the blinking while you’re wearing it, that means it’s time to put it back on the charger. You only need to use this three minutes a day. You don’t get better results if you do it twice. You don’t need to hurry up. Only three minutes a day, that’s really all you need. Allow yourself that 24 hours in between treatments. 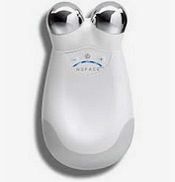 This is an anti-aging device, a massager and it’s really cool and so fun to use and it honestly feels so good. 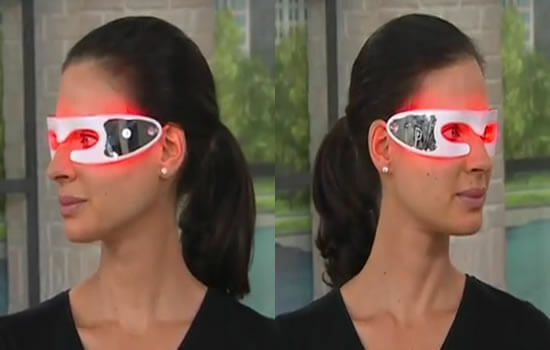 It uses alternating T-sonic technology and it is designed for the area around your eyes. It will give you a gentle yet very effective massage for refreshed and younger looking eyes. One thing that will always give away your age or can age you, are your eyes. Things like wrinkles, crow’s feet, puffiness, even dark circles. This device combats all of them. The product was inspired by Asian beauty tradition of tapping around the eye. It really provides a very unique relaxing experience and I cannot tell you how comfortable this is on my eye. It’s not just anti-aging. It also covers signs of fatigue and being tired. Anti-aging is the longer benefit and then improved everyday problems, such as puffy eyes or dark under eyes, are the short-term results. So it really does a lot immediately. It will also help you save money on your skincare products because this ensures that your face is absorbing those products. Compared to applying a serum around your eyes with your fingertips, when you use the Iris, it’s a three and a half times more effective at reducing bags under the eyes. That’s amazing because that’s something I deal with, not daily but if I don’t get enough sleep. So this is really great for that. It’s 70% more effective at reducing dark under-eye circles and 80% more effective for smoothing out eye contours. When you use it, first you adjust the intensity with the plus and minus buttons and then you work from your inner eye to your outer eye and then just switch sides and it feels so good. It’s such a nice, soothing, spa experience and it’s so fast. I also do not neglect forehead area where we all develop with age some frown lines and wrinkles. You should be using it for one minute a day, morning and evening, treating each eye area for 30 seconds. You can use your regular eye cream or serum. Even though it’s designed to use 30 seconds on each eye, you don’t necessarily have to be doing it for those 30 seconds. If you feel like 15 seconds is enough, by all means do the 15 second cycle. If you feel your skin is sensitive, even though this is extremely gentle, do not overdo it. Always exercise caution. If you have any kind of skin conditions or eye conditions, consult with your physician. This product comes with a build-in timer so that you don’t over use this device. There is a little button on it to add more intensity, if you want more pulsation around your eyes. The device is really cute and has a clean, ergonomic design. 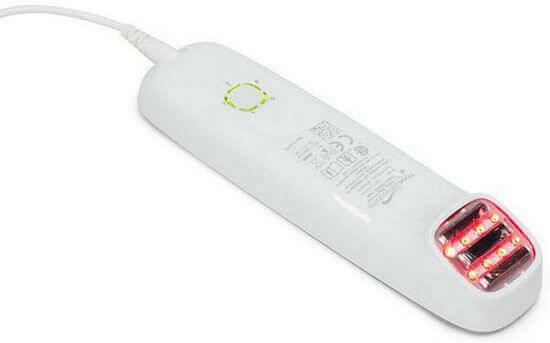 When it charges, the bottom will be flashing and emitting white light. When it’s done charging, it will turn into a solid white light. It comes with a USB cord and you have to plug it into the computer or into your cell phone to charge it. It also gives you a little bag so that you can transport or store your Iris massager. This comes in four colors. It comes in pink, black, light blue and fuchsia.